I have a wonderful collection of vintage family photography slides. 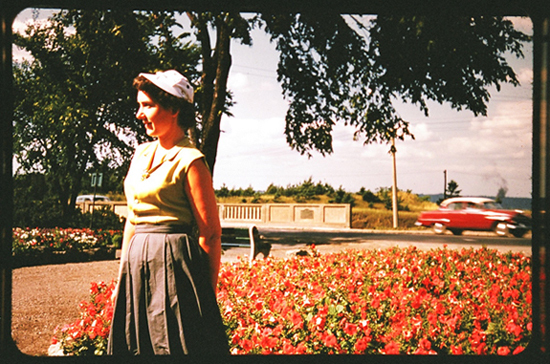 In fact, my site banner above is from a shot of my Grandmother. I'm grateful to have such beautiful documentation of how my ancestors lived. I'll be sharing some of my favourites from time to time. Here is my Grandma again on a beautiful spring day.